Ultra-thin, edge-lit LED panel designed to deliver general ambient lighting in a variety of indoor settings, including schools, offices, hospitals and retail stores. Perfect choice for new construction and retrofits. This high-efficacy luminaire provides long-life and uniform illumination, as well as standard 0-10 vdc dimming capability. 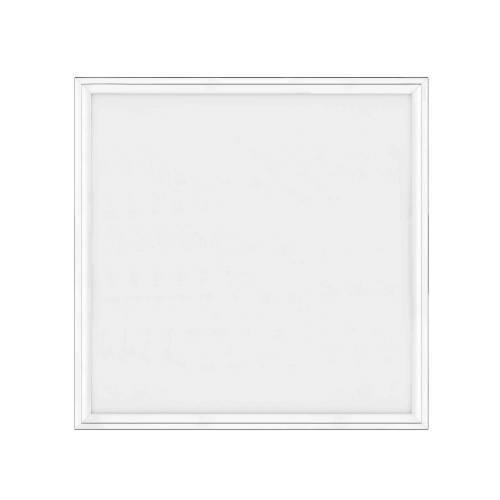 • PMMA (polymethyl methacrylate) light guide panels for optimal light distribution, efficiency and longevity. • Standard mounting options include recessed mounting in grid ceilings, or suspended mounting using attached hanging brackets. 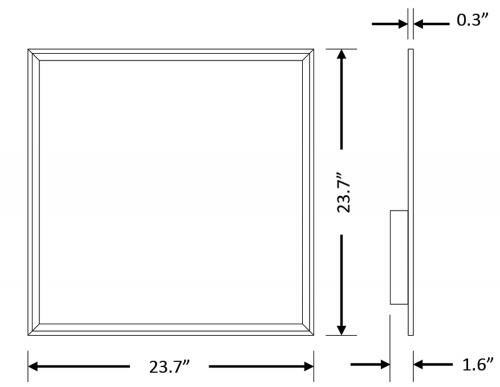 For mounting in plaster or other hard ceiling, see Mounting Kits. cULus listed for damp locations and insulated ceilings (IC-rated). Suitable for ambient temperatures from -20°C to 40°C (-4°F to 104°F). • Complies with FCC Part 15, Class B. • Complies with EN61000- 4-5, surge immunity protection (1kV). • 5-Year Warranty of all electronics and housing.